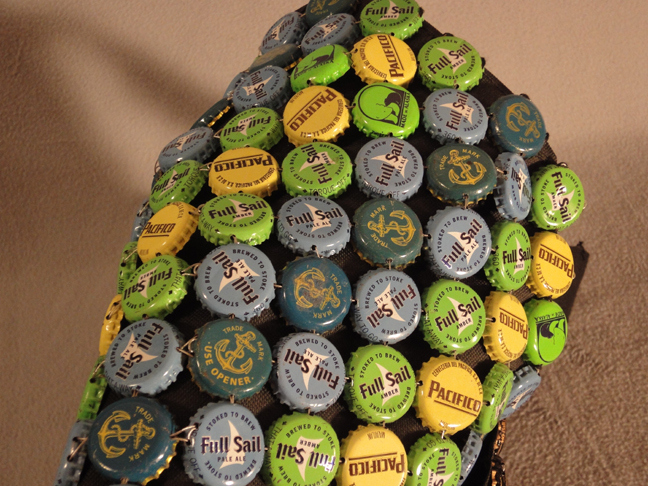 These sculptures were made by weaving bottle caps together to create wearable artwork. 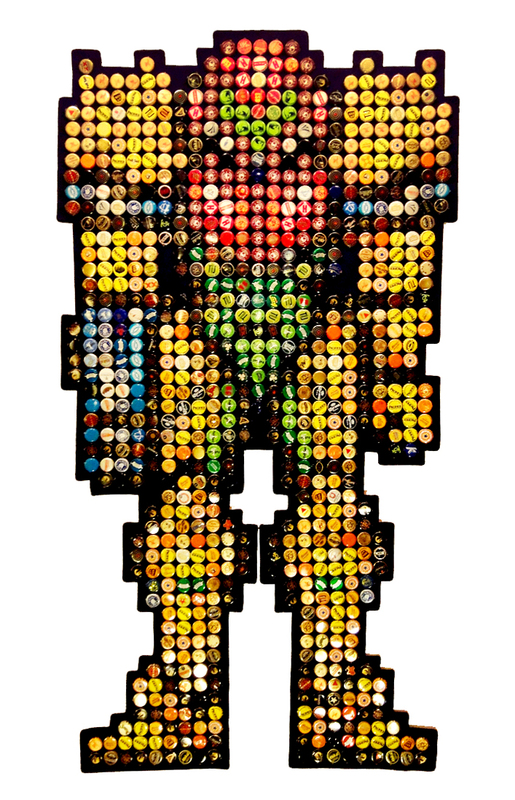 Different images were created using the bottle caps like pixels. 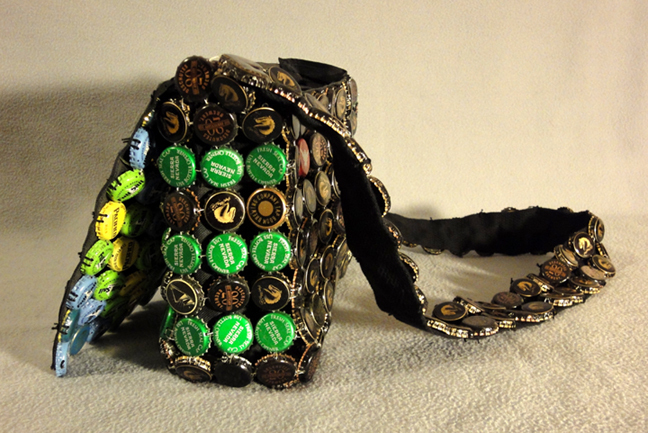 The idea was to create fabric like structures that are flexible like chain mail.